Tag Archives: What Is A Lie? Have you ever lied before? Because every person lies sometime… Be it an “excuse”, an ironic sentence or a joke, e.g. an April Fool’s trick (a joke on April Fool’s Day). In the most countries people celebrate a special day of lying on 1st April. Some people also celebrate a “Tell-A-Lie-Day” on 4th April. And so the most people call it “fibbing”, “cheating”, “faking”, “poking fun at someone”, “faking something up”, “taking somebody to the cleaners” or “to pull somebody’s leg”. Many words for “lying” that sound positive, funny, cute and without any finger-wagging. Because everybody is doing it and what is wrong with it, right..? But let’s face it: It’s surely not very nice if you are not telling the truth or if somebody is not honest (or not honestly doing something). How do you want to trust a person if you know that he or she loves to lie often? And how do you know if an organisation is trustworthy if there are so many frauds and swindlers? Is it what the media are showing us? Is it what is shown on TV? But even there the truth is not always presented… Maybe it’s because the truth is sometimes very uncomfortable. Nobody can claim to be the Truth in person. Would it not be pretentious if somebody would say: “I am the Truth in person!”? Could you say that (without lying)? Inside of truth doesn’t exist lies and deception… And that is a reason that the claim can’t be true… Because even if you have lied once only, you are NOT the Truth in person. In fact, there is ONE who says He is the Truth. And that for sure! This person even says that He is the Way, the Truth and the Life. Who can claim to be that?! This person that claims to be it, is Jesus Christ. It is a fact and a historic proof that “Jesus from Nazareth” lived and worked miracles. He healed the sick, raised the dead, worked several miracles and – He was WITHOUT fault… He came as a human like us into this world but something was and is outstanding: He NEVER lied! No single lie or half-truth were on His lips. 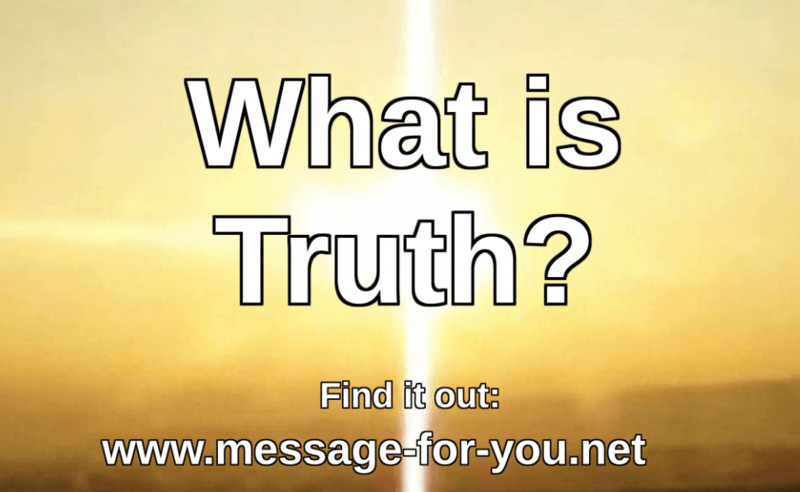 What do you think: Is HE really the Truth? …it is about you and your life. Because He also said that HE is the Way and the Life… Yes, He even said that He is God. What great influence in your life could that be if you believe Him? …EVERY person should get to know Him… Because it would be totally important that everyone gets to know the Truth in person! You don’t want to believe it? But why did He heal all the sick, work miracles and teach with such wisdom and might? And which liar would die intentionally for his lie? Because Jesus was completely innocent! Even His accusers recognised that… Nobody could allege that He made a mistake. And they delivered Him to death after the people charged it (without a reason)… So that He could die for us, for OUR guilt. Or He was a madman. But let’s be honest: How can a mad person heal the sick, raise the dead and work such miracles..? Even in a difficult situation Jesus kept calm and He had peace that is not of this world. And how could He turn the lives of several people completely? And which mad person has such wisdom like He had? Or He just was one of many spiritual teachers. Maybe you see Jesus on the same level as other spiritual teachers… But which teacher had such great words about himself? No other teacher said he would die for the sins of humanity. Any other teacher preached a way of enlightenment by own efforts – but didn’t give his life for his disciples… But Jesus called his disciples “friends” and nobody had greater love than He had by dying for His friends. “Can any of you prove me guilty of sin? “I am the way and the truth and the life. Answer: If you know HIM, then you know what truth is! The question is: Do you believe that? Do you believe Him? He can and wants to change your life forever! If you put your faith in Jesus (that means trusting Him), then you will discern what “truth” is: Because truth is what reflects His character, His being, His will and His opinion about something! Because HE is pure goodness. If you get to know HIM, then you will recognise the truth. 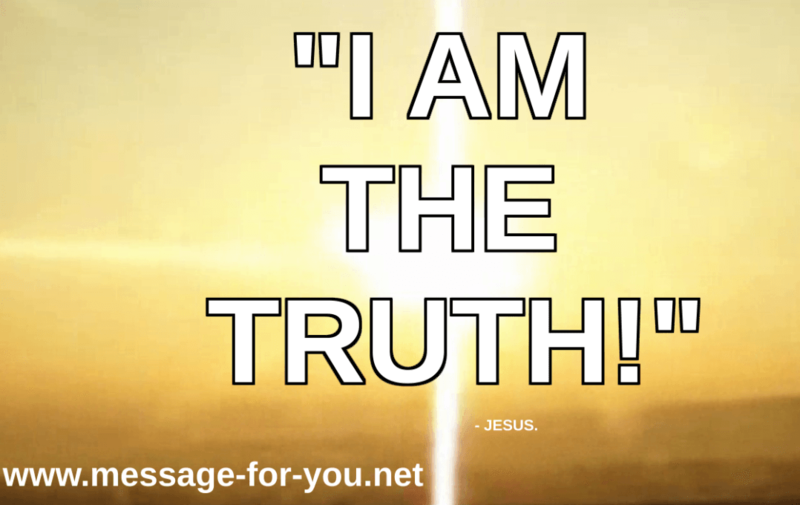 Please take the time to get to know the truth – Jesus himself – TODAY. 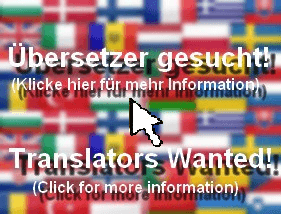 There you can read (or watch or listen to) the message in another language. It is NOT about any sect or church, but about a person: Jesus Christ. This entry was posted in News-English and tagged "The True Religion",April Fool,April Fool's Day,First April,philosophic,philosophical,Philosophy,Quid est veritas?,Reality,Search For Truth,The Truth In Person,Truth,Truth Content,Truth Movements,What Is A Lie?,What Is Lying?,What Is Truth? on April 13, 2015 by Administrator Message-For-You.net.